During the summer, I’m something of a professional driver. I ferry my son and a variety of boys from home to the pool and back again. My car more or less permanently smells like chlorine and there’s always a spare towel in the back. Admittedly, they’re a rowdy lot but I’ve taken the time to get to know them. And I have to say, they’re adorable. Sure, they say things that make you cringe and I’ve been sorely tempted to stand on tip toes and get in someone’s face a time or twelve, but they really are wondrous people. Seriously? 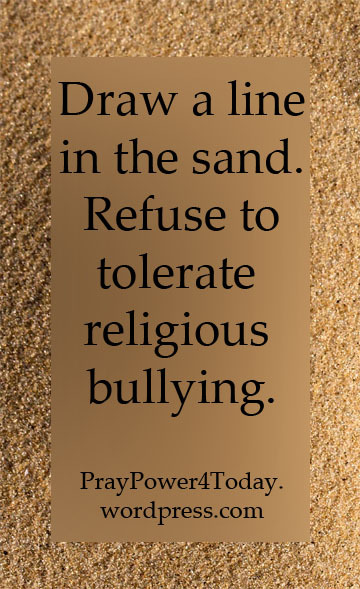 As far as I’m concerned, attempts to isolate a rowdy teenage boy in the name of God are a form of religious bullying. They are trying to isolate these boys. Frankly, I think that Jesus has a soft spot for these goofy, loud boys who thunder through life, bumping into people, accidentally intimidating the short and affronting everyone within ear shot. Jesus was, after all, a boy. Spend some time with these boys and you’ll discover the kid who nearly broke down and cried when a much younger swimmer clung to the rope in fear and was disqualified from a race. You’ll see the kid who nearly stuffed me through a chair trying to be helpful when I said the heat was making me woozy. You’ll also be invited into the conversation when they try to figure out how to talk to a friend about God, a friend who has suffered through religious bullying. I’m drawing a line in the sand. You don’t have to let your son run with anyone you don’t like, but quit trying to isolate these boys in the name of God. They are His and He is in their hearts. I recently read an article that explained what you should do if you ever become trapped in quicksand. Simply redistribute your body weight, gently, by floating. In other words, relax. Now this is an easy thing to say when one’s two feet are firmly planted on terra firma, but not so easy when one is sternum-deep in wretched muck. But it illustrates a lesson, one you’ve certainly heard before: In times of trouble, let it be. Most of us never have to worry about helplessness. We’ve armored ourselves with modern conveniences, from cell phones to automobiles, to prevent our ancestors’ fates: to be alone on the wind-swept prairie, your last candle down to a nub, while the cry of wolves looms ever closer. We’re not helpless if we can help it, as silly as that sounds. Because helplessness is a bad feeling. Today I’m opining that a little helplessness from time to time might be a good thing, spiritually speaking. Stay with me. My friend Ruth suffers from a debilitating illness that saps her strength and ability to function. In this inability, she finds God. Just read her posts if you don’t believe me. And while no one welcomes helplessness, it is good to be thrown back on our most important reserve: God. We need to be humbled, now and again, to realize that we are not in control of our destinies…but that someone greater is. It is good practice to find our role model, not in Chicken Little with his endless running about and shrieking, but in Christ himself, who knew what it was to see one’s own fate and find it terrifyingly impossible. Sure, he was scared. He even cried and begged. That’s only human. But in the end, he leaves it with God: “Your will, not mine, be done.” And then he goes on to do the greatest thing anyone has ever done, or will ever do. So embrace your inner helplessness. No, I’m not telling you to keep your deadbolts unlocked at night or take unnecessary risks with your person. Just take a moment to confront your very real helplessness and humanity in a world that could alternately scorch you to death or freeze you solid with the slightest tweak of the sun, a world that can flip your fortune from Fortune 500 to forlorn so quick it could make your head spin. Then realize that while you may be helpless, you’re never hopeless. God will buoy you up, come hell or high water…or even quicksand. 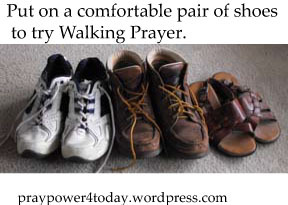 Originally, when I heard about walking prayer, I thought it sounded like a great idea. I have a true monkey mind. As much as I recognize the benefits of mental discipline, I also know myself well enough to know that I can do one of two things when I pray. I can sit and battle my scattered mind. Or I can move and focus. Walking prayer sounded like a great way to concentrate so I Googled it. Unfortunately, all that I found discussed walking a set path – as in a labyrinth or a path with stations. That’s great if you live near someplace that has one set up, but what about when I need to pray now and I need to walk to do it? I didn’t find an official kind of walking prayer that looked like it would work for me, but I don’t give up easily. I simply started walking and praying. As I start, I focus on my breathing. When I do a cleaning breath in yoga, I am sitting and focusing on my breathing. I breathe in to a count of 5 and I breathe out to a count of 10. This won’t work when walking, but I try for a 5 and 5 count. This focus on something as simple as breathing, when paired with walking, slows my mind and stills those monkey thoughts. If I have a prayer concern, I let my thoughts wash over this as I walk. I say wash because I’m not trying for a hard focus. This is a time to open my mind, not a time to focus on what I want. If I don’t have a specific concern, I pray for whatever strikes my fancy as I walk. When I pass the high school, I pray for the students and the teachers. When I pass the Episcopal Church, I pray that they might serve God in the mission that He has given them. I pray for whatever and whoever strikes my fancy. Not only does this type of prayer help me to calm my mind so that I can pray, it also helps me be more aware of my neighborhood and what is going on in it. Why not spend some time connecting to God and to your neighborhood by taking a walking prayer today? Holy shades of Chaucer! Pope Francis is offering indulgences to anyone who follows Catholic World Youth Day on social media. Indulgences, for those who don’t know (or who thought such rusty concepts were confined to the Middle Ages), grant certain amounts of “time off” in Purgatory to their holders — sort of a “get out of jail free” card for the afterlife. In “The Canterbury Tales,” the Pardoner doles out such indulgences — for a fee — and Chaucer does not mince words in condemning him. I’d like to think that God controls our destiny, not the Catholic Church (or any other church, for that matter). I can’t imagine it will matter much to God if we end up at the Pearly Gates with souls full of sin and ignorance, but clutching a few magic beans in our sweaty palms. 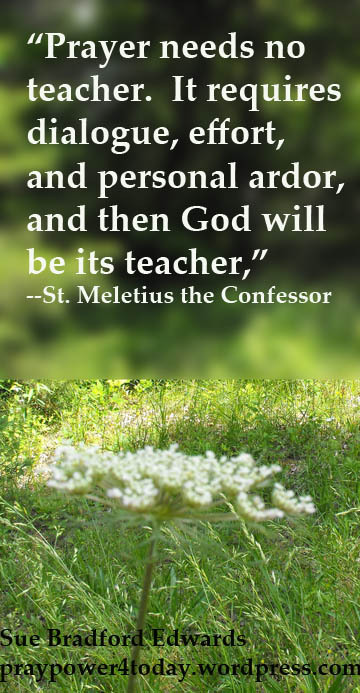 “Oh,” imagine God saying, “You have indulgences. Well, that changes everything.” Fat chance. I like Pope Francis. I like his commitment to the poor, his humility. I think he will do great things for the Church. And, Lord, do we need them! For every Francis, there’s a Cardinal Dolan, glad-handing his way right over the needs of the people, or a bishop looking the other way at abuse of children by priests. But I have to say, I’m a little embarrassed at Francis’ resorting to the old chestnut of indulgences in order to build interest in a Church event. It reeks of desperation. (Perhaps he is desperate?) But more importantly, it reeks of supposition. Why any human being — even the Pope — might feel capable of giving people time off from the punishments of the afterlife poses a conundrum for me. For one, who’s to say the afterlife contains the kind of punishments we human beings can conceive of? I always viewed the moment of death as a reckoning: You see your life laid out before you in all its beauty and ugliness, and have to relive every bad-hearted, unloving thing you ever did. For me, this would be excruciating, even if it passed in a moment. My friend Alice doesn’t believe there will be punishment of any kind in the afterlife. Only a welcoming heaven provided by a God whose forgiveness exceeds our wildest imaginings. We do ourselves — and God — a disservice when we try to analyze God’s plans for us beyond the world we live in. Only God knows what lies ahead. Only God will give us what we truly deserve. Will following an event by Twitter give God pause in God’s judgment? It seems unlikely. Please, do follow (or attend) Catholic World Youth Day. Just don’t count your chickens — or your indulgences — before they hatch. As I read Lori’s post last week, I caught myself nodding along. Last weekend, my church sponsored Sunday Funday. We split into groups and played games, did activities and discussed various things to do with friendship. The group I was in discussed Godly words vs. mean words. Our session leader drew two trees. One was nourished with Godly words. Beneath this tree, we taped the kinds words that we can say to people. On the branches we taped green healthy leaves. On each leaf was written the positive feeling that these words can bring into people’s hearts. Beside this tree was a tree nourished with hateful words. Among the roots, we taped harsh and hurtful words. In the branches we taped withered, brown leaves complete with the negative feelings that these words cause. I love hearing someone use the kind words when they are encouraging one of our youth or thanking someone for doing something special. It is such an easy way to lift someone up. While most of us would avoid saying the unkind words to someone face to face, I am amazed at how often I see them on signs waved at rallies, on t-shirts or bumper stickers or even in blog comments and on Facebook. We think we are sticking up for ourselves and just letting people know where we stand on the political spectrum. It’s our right! And yet, we are blinding people to the love and grace that is to be found in Christ. 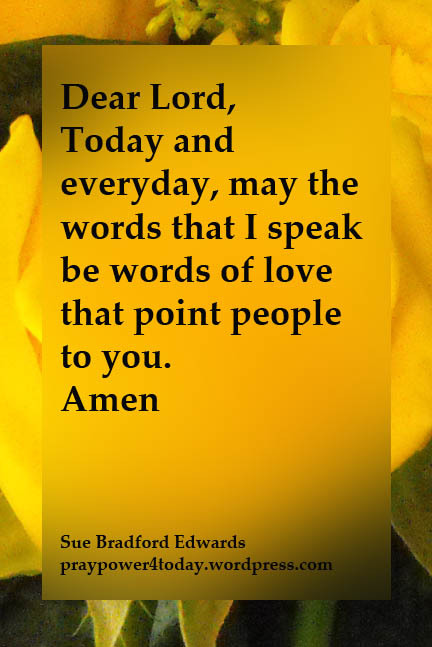 How then can we be truly right when we toss around these hateful, un-Godly words? I have a theory about people who describe themselves as atheists: They have been badly used by religion. Not by God and not by faith, mind you, but by religion — those all-too-fallible constructs we humans have created to codify our beliefs. Just consider the British. You can’t throw a rock in Great Britain without knocking over a gaggle or two of atheists. (Aside: What does one call a group of atheists? A denial? A reject?) The reason is all too apparent when one considers their history. One minute, Catholics were being burned at the stake, the next minute, Protestants. That kind of harassment could make anyone jump off the faith wagon. So, faith isn’t easy. Few of the greatest things in life are. Faith is also rather scary — there are a number of unknowns to embrace, a fair amount of unanswerable questions to accept. It requires, as Kierkegaard would say, “a leap of faith.” Not all of us are built for leaping. But to the most hardened unbeliever, I say this: At least believe in love — the transformative, redemptive quality of love. It accomplishes all, sustains all. There is nothing it cannot conquer, no wall it cannot tear down. Love creates — art, poetry, opportunity, even life itself. Love never destroys. Oh, sure, destructive things are done in the name of love, but those things are blasphemy, done by people who wouldn’t know love if it bit them on the foot. Which it would never do, being love and all. Furthermore, know this: If you know nothing more about God than that God loves us, you know everything there is to know on the subject. God is love. If you can believe in love, you do believe in God. Simple logic, folks. But it’s okay if you can’t get there just yet. Focus on love, on seeing it, experiencing it, reciprocating it, desiring it. Start by believing in love, and all the rest will come. You’ll see. My personal mantra is simple. Plan A: Trust God. There’s no Plan B. You might say deify? God doesn’t need me to tell Him He’s God! But, judging by the way I hold onto my troubles even after I’ve prayed about them, it might seem like I’m forgetting who’s actually in charge here. I have to remember to let God be God. After I prayed this morning, I said, “Well, it’s in God’s hands.” Of course, I know everything is anyway, but this time I acknowledged it and left it there. So often as I say my morning prayers, I’ll say in my mind, “This is too big for me to bear, so I’ve entrusted it to God.” The problem is that even though I know it’s now officially in God’s hands, I still agonize about it, strategize in case God doesn’t address it, and rationalize that I have to work hard to fix it just in case a solution doesn’t show up right away. So often I invest in the pain of a thing I can’t figure out or solve. I assume that I have something to learn from those dark nights of the soul, and it’s almost as if I set down roots in that hardship. I figure that this is some kind of life lesson that only comes through suffering. The thing is that it may well be that it’s temporary, if only I’d let go of it. Most of the time, I plow my energies into formulating a Plan B before I even let Plan A (trusting God) take effect. When trouble comes, you can’t fix it or force it. You can’t fudge it or fake it. It has to be sincere and specific when you lift up your troubles in prayer. 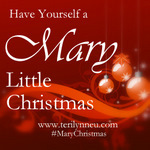 Do what you can do and – here’s the tricky part – really, resolutely, leave the rest up to God. When something is too hard to deal with, think of it this way: it’s just another juncture of trust. A great opportunity to let God lead and know in your bones that there is an answer, even if you can’t see it right now. Even though you may well have something to learn from pain and lack, it’s also possible to learn from relief and abundance. Maybe if we get out of the habit of expecting so little from God, it opens an unanticipated avenue of blessing. You might be amazed at the good things that come your way when you divest and deify. Recently, I came across an amazing quote about prayer. Not sure how to pray? The steps are very simple. The thing is that God wants us to reach out. He is the parent (Mom or Dad) who just wishes that their tween or teen would quit texting their friends and speak. When you do make an attempt, he isn’t going to sit there and judge our efforts. He will take your best or your worst. He will listen. He will reach out in love. Many of us have been discouraged by someone whom we have looked to for instruction. We have been put down and now we wonder if we can possibly get it right. If you are trying to pray to God, then you are praying. It is that simple. Do it and you do it right. Just be sure to listen for what He has to say in reply. Hear and you will learn. Our cat, Lula Mae, is dying. Always small, she is down to a mere four pounds. Cancer is ravaging her from the inside out. You’d never know it from her attitude, though, which is just as sassy and upbeat as always. She will not let her recent exploratory surgery keep her from her usual leaping, bounding and urgent forays into every room in the house. The prospect of losing her feels like a knife to the gut. You might as well take the sunshine away, because gray days loom ahead. And while many folks talk about “the rainbow bridge” (a heavenly waiting place for pets), many others (particularly in the Catholic Church) do not believe animals have souls or that they will be anything, post-mortem, but fodder for worms. This cannot be. A heaven without animals would not be paradise. A heaven without animals would lack an ineffable hominess — it would be less cuddly. It would be less warm. It would be a lesser place than Earth, and that is antithetical to the entire notion of heaven as a place of ultimate happiness. Some would say that animals are not necessary in heaven. After all, we will be consumed by the vision of God. To this I say: God made animals for a reason. God obviously saw some need for them, some goodness in them. Heck, if you believe the book of Genesis, God made them before God made us. That says something. Even if we don’t need animals in heaven, God does. Sure, we humans would like to think we’re God’s favorites. But who are we to say? It takes an awful lot of love to make something as ugly as a warthog or as weird as a platypus. But God did both. Moreover, God made people to love animals. Sure, not all of us are dog people or cat people or even panda bear people. But most of us love some type of animal, often to distraction. There is nothing extraneous about love. Love is always intimately concerned with, and a part of, God. And so are the animals we love. I won’t be able to make it through the following weeks without keeping foremost in mind that I will see Lula Mae again — and Elsa, Bianca, Kali, Princess, Frances, Dusty, Mandy, Frosty, Snoony, Boots, Ashley, Micky and every other animal I’ve had the privilege to know and love. After all, Earth will be empty enough without her. God would never allow heaven to suffer the same fate. Many years ago, I worked in an office for a healthcare company. One of the perks of working in an office is that there is usually a break room where you can sit with your colleagues over coffee and just shoot the breeze. It’s a nice break in the day and it can be a palate-cleanser between hectic projects. So one day, I was working my way from the break room table to head back to my office, and I tried in vain to squeeze past the lady sitting in the chair at the end by the wall. Ever so slightly, I grazed her shoulder as I passed, and she spilled a bit of her coffee onto the table. “It’s okay, I’ve got a napkin. No biggie,” she said, and went back to her morning paper. He didn’t have to say it, but he was thinking, She’s not even heavy. How did her hips not make it through that aisle and cause a minor spill? Oddly, I wasn’t offended, even though this woman was, of all things, the communications manager! She should have known better, perhaps, than to say something right in front of me that might hurt my feelings. As a matter of necessity, I’ve developed something of a thick skin through my years here in the garden state, where the passing of the man who played Tony Soprano led to the state flags being lowered to half mast. I’ve also instituted a personal policy of not being hurt by anything others say, as long as it’s “factually accurate.” This is a phrase we used in corporate communications so often that I truncated it to “faccurate.” We could fend off a lawsuit if the claims were not faccurate. We could put out a press release with documentation of what was faccurate (according to us). She was right. I wasn’t a ballerina. There’s not a bit of gracefulness in my gait – even more so now that I’m on the mend from an MS exacerbation. The thing is, we all knew the communications manager was one of those people, as we say in Jersey. Not a bad sort at all, but (as we also say in Jersey) if it’s on her mind, it’s out of her mouth. You get used to people who function this way and work around them, the way you give more latitude with the language to people from other countries. Like Simon Cowell, they seem unfettered by things such as tact or sensitivity, but most of the time, they’re speaking the truth. I realized that tact just wasn’t her department. It wasn’t her grace. Everyone has a gift of connection that bonds them to others, and for some, it is empathy. For others, like this woman, it’s effective project management. She could take an enormous project and break it into manageable bites. This makes everyone’s job easier; we all know what we need to do and when it needs to get done. What’s your grace? For me, it seems to be listening to stories. I know this happens to Lori and SueBE too, and it may be because our friends know that we’re writers, but it happens randomly with strangers too. Offering support and encouragement doesn’t seem much of a ministry, as compared to going overseas on a mission, as one of my favorite bloggers, Ang of Faith Sweat & Tears is doing currently. But it is a grace note on a chaotic day. Another favorite blogger, Debbie, speaks of grace finding us where we are, and just as we are. I think I’m being faccurate when I say that grace is what is holding the world together. We rely so much on God’s grace that we may forget it’s a gift that never leaves us, even when we give it away. Grace shows up everywhere when you start to look for it. Look around today. Where do you find grace?